These noseworthy posts are turning into TV Guide, but I don't care! 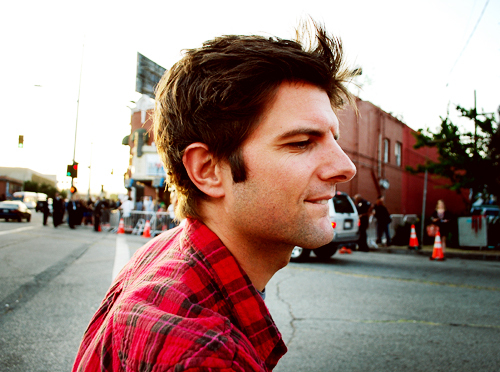 I adore Parks and Recreation beyond reason, and loved the late, great, painfully hilarious Party Down. In the Venn diagram of things that are awesome about these two shows, Adam Scott occupies a comfortable position (perfect for snacking) in the intersection. I ALSO adore Parks & Rec. It is so funny! For some reason most people don't believe me when I tell them this, but I love it, especially Andy & April. Ben of the lovely proboscis is also good. April & Andy's was the best 'fancy party' I've ever seen on television. Why are people skeptical? I think the show is probably a lot like the other funnies they love, but with a bigger heart.